Today! It’s today! Spring has arrived in our little corner of the world, and we couldn’t be happier about it. What’s your favorite part of spring? For us, the Easter holiday is a major highlight. For so very many reasons, this holiday brings joy and giddiness to the hearts of folks big and small. 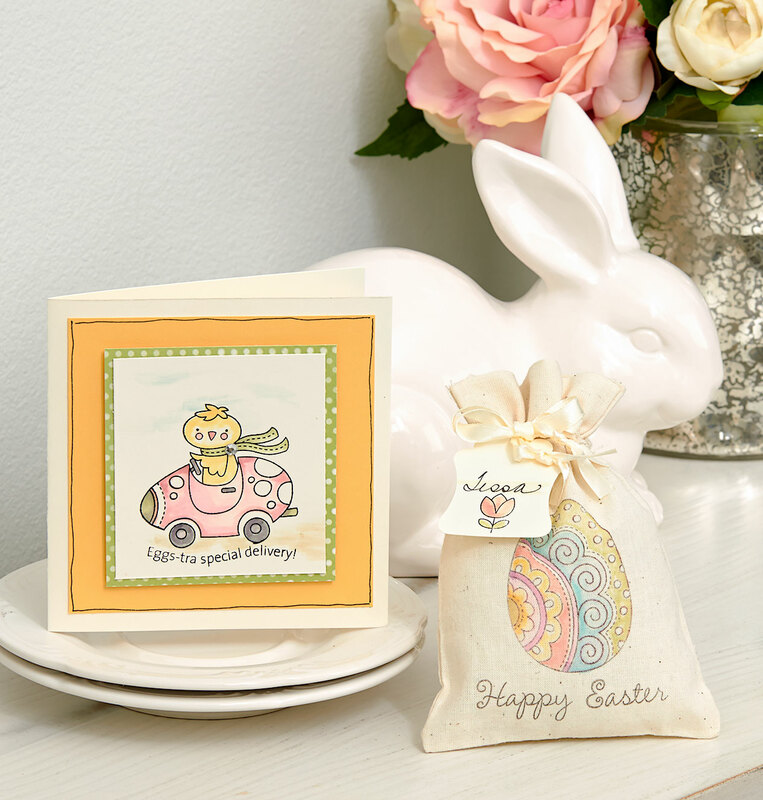 In preparation for the holiday, we’ve pulled out some of our favorite Easter stamps to create some truly egg-cellent projects. 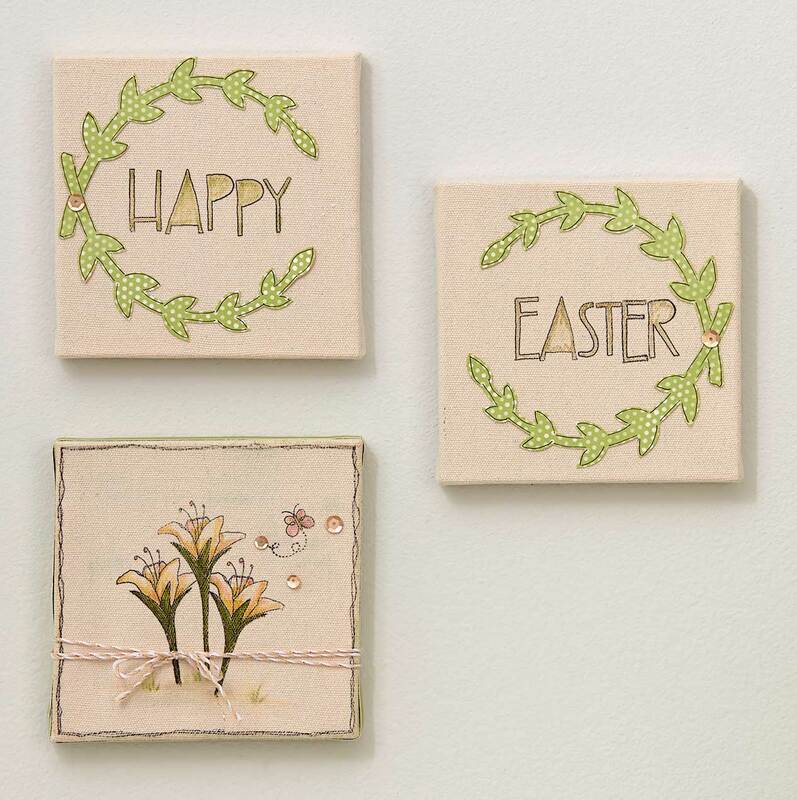 This canvas trio makes a cozy Easter-season wall piece. Who can resist this gorgeous Easter lily image in combination with the letters from the Hopscotch Alphabet stamp set (E1028)? We’ve added some flora to these versatile canvases to portray the beautiful message of new life that Easter is all about. To achieve the beautiful colors on these pieces, we turned first to our ShinHan™ Touch Twin™ markers. Then we used the blending pen to pick up ink from various Exclusive Inks™ pads to apply some softer tones. With a stamp this precious, we couldn’t help but create a truly adorable card. We once again used the blending pen to add color from our chosen Exclusive Inks™ pads. Don’t you love the shading spectrum you can achieve this way? This little chick has got to be the cutest one in town! My Creations™ muslin drawstring bags will delight anyone you give them to! We stamped the fancy egg image directly onto our bag using black StazOn™ ink. Once dry, we used an array of Exclusive Inks™ pads and the blending pen to “dye” our egg. We love that every stamped egg can be a unique work of art all its own! Without the headache of vinegar dyes and cartons full of hard-boiled eggs, you’ve got yourself a picturesque (and nonperishable) final product. Before gifting your creation, place a small surprise inside and attach a simple tag. We used our Cricut® Artiste cartridge, hand-stamped an image on the tag, and once again used the blending pen to apply bold pops of color that invoke the beauties of blossoming spring. You’ll never guess the secret ingredients we used to make this delicious bunny bait: The Scaredy Cat and Chalk It Up paper packets! Who would’ve dreamed these papers could be used for Easter? It’s just more proof of how our B&T papers can be turned into fun 3-D home décor pieces in a hop. And why not sweeten the deal by stuffing them with jelly beans? 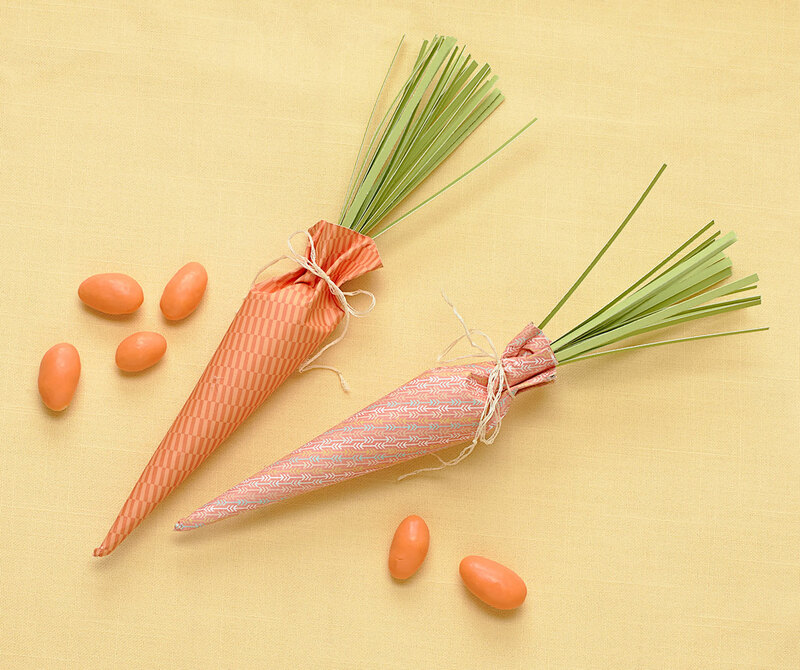 Easter will be here before you can say chocolate bunny, but there’s no need to scramble for last-minute ideas. Be prepared for the coming Easter holiday by ordering these Close To My Heart products today! thanks SO much for the info – it’s truly appreciated. Such a terrific idea! I am so ready for Easter! Great ideas! I love using our CTMH products for home decor and seasonal celebrations. These are all fun; I especially love the painted treat bag and wall art. I’m making Easter cards with my friends tomorrow. Thanks for the ideas. Those are all cute ideas. I love the canvases!! So cute and easy to make.